FAB Club is available from booksellers worldwide, including Amazon, where you can see lots of sample chapters for free. At the end of the long summer holidays, the FAB Club read that their school has run out of money and won’t be opening. Celebration turns to dismay when they find out that they are all going to different schools. At first their phones are a lifeline, keeping them in contact. But then the horrible messages start. Someone is trying to destroy the FAB club and everything they stand for. Will the club be able to stop them and bring the friends back together? 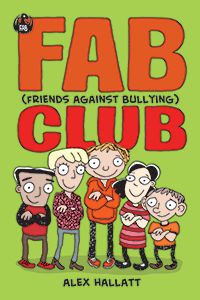 Find out in FAB Club 2, as the gang stand up to the cyber bullies. If you signed up to the mailing list, you'll know the password and can go to the members' area by clicking the sign (clue: the password is the same one used the the first FAB club book). If you want to be on the mailing list, click HERE. Brooke gives a nice shout out to the book about 7.45 minutes in. 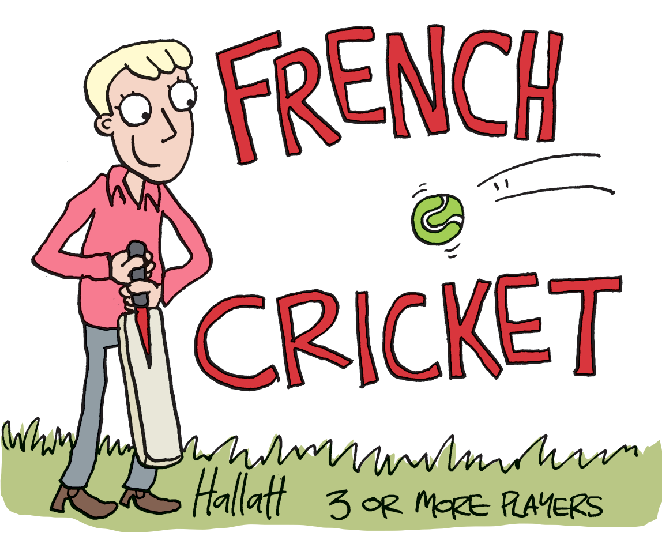 French cricket rules. for 3 or more players. You need any kind of bat and a soft ball like a tennis ball. The person with the ball throws it to try and hit the batter’s legs. If they do they get to bat. the batter tries to hit the ball as far as possible without moving their legs. If a Fielder catches the ball they get to bat. Otherwise they have to throw the ball at the batter’s legs from wherever they picked up the ball. Every time you hit the ball with the bat you get a point and the person with the most points wins. 50-50 Block home rules. 3 players or more.Choose something like a tree to be home and one person to be “it”. “It” must face the tree cover their eyes and count to 100. Meanwhile, everyone else hides. When it gets to 100, it shouts “50-50, ready or not” and starts looking for the other players. When they find them, they shout their name and they both run to home. When they reach home they shout “block home” and if “it” is there first the player's caught. If the player reaches home first they are free. Players can also try to sneak home and free without being caught. The first player caught becomes “it” next time. If no one 's caught “it” is “it” again. Crazy sevens. Two players or more. Deal each player seven cards. Put the rest of the cards facedown in a pile and turned over the first card. The player to the left of the dealer puts down a card that is the same value (e.g. three or a jack), or the same suit (e.g. spades or hearts) as the turned over card. If they can't go, they pick up a card. If they have more than one card of the same value they can put all those cards down at once. If the card has a power, the powers are multiplied (e.g. two 7s mean the next person picks up 14) when more than one is used. Card powers. 7: pick up 7 unless you have a 7. 2: pick up 2 unless you have a 2. 5: change direction. 8: Skip a person. Ace: change suit. Jokers: jokers are wild which means they can be any card. If you don't say last card when you have only one card left you have to pick up a card (only if someone notices). You win if you get rid of all your cards.